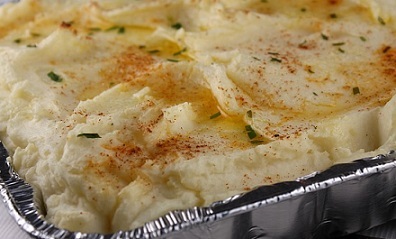 These Baked Mashed Potatoes are so good you’ll make extra mashed potatoes just so you can use this restaurant potato recipe the next day! 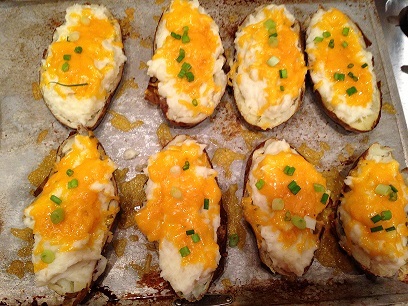 Often these potatoes are called "twice baked potatoes." 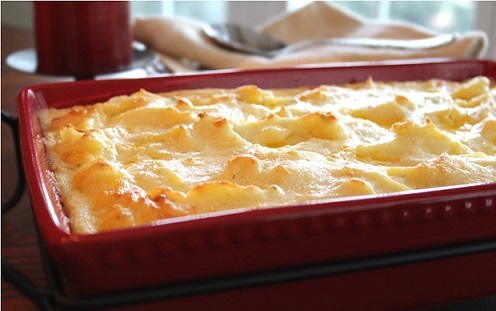 Everyone who likes potatoes seems to love this recipe. And please remember to check other potato recipes on the website by clicking here. You'll discover recipes for traditional mashed potatoes, garlic mashed potatoes, scalloped potatoes, roasted red potatoes and many more. You can use leftover mashed potatoes in a variety of ways. Use them as a base for cream soups and chowders. Or try topping meatloaf with mashed potatoes and then baking until lightly browned. Another good way to use mashed potatoes is to top seasoned ground beef and shredded cheddar cheese and then broil until browned. This is real comfort food! Preparation time: 15 minutes. Servings: 4. ENJOY your restaurant recipe and the company of those you share it with!